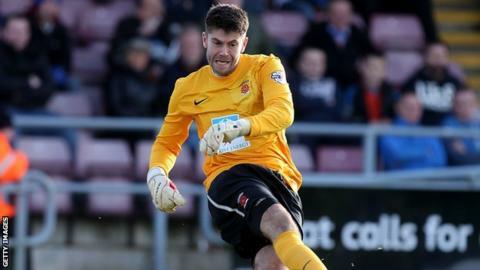 York City have signed goalkeeper Scott Flinders from Hartlepool United and midfielder James Berrett from Yeovil. Flinders, 29, was out of contract at Hartlepool and has signed a one-year deal with an option for a further year. Berrett, 26, has joined on a free transfer and signed a two-year contract after being told to find a new club by Glovers manager Paul Sturrock. "I'm delighted that I'm here, it's a football club on the up," Flinders told BBC Radio York. "With the new stadium coming just around the corner, there's going to be good times in the future."